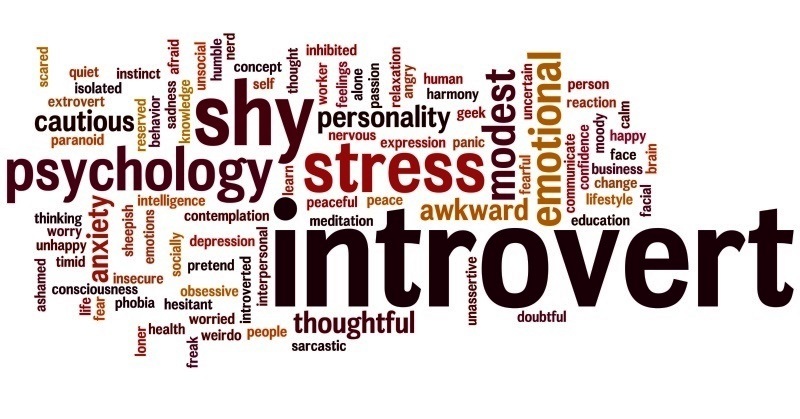 Introversion is a personality type; a spectrum with certain tendencies and traits possessed only by people on that end. 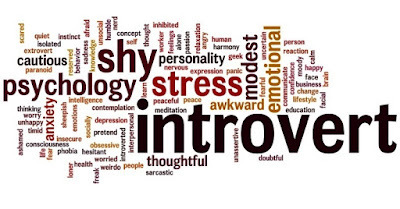 Introverts, like extroverts, have strongly developed personalities that attract certain personality types. Basically, none of these two personality types is better or worse than the other. They are simply different, normal and natural. The misinterpretation of introverts is often blamed on the ‘still-water-that-runs-deep’ nature of “introversion.” On the other hand, they tend to understand extroverts more and worry less about them. Most people use the word “Introvert” offensively, like a polite insult simply because they do not understand for instance, why someone would chose not to be the centre of attention, or not to let loose every emotion and thought that comes to one’s head. They do not understand why someone would rather stay at home than hang out with just anybody, or run after people who do not fulfil them. People rarely understand why one would insist on picking and choosing so carefully whom to let into one’s world, when they others actually need to spend every minute around others just to avoid feeling lonely. Contrary to wrong perceptions, introverts do not spend their times with closed lips, silent and uncomfortable as most people tend to see them. They do not ignore friends. Rather, they go out, tell stories and share jokes. They like being funny and obnoxious, having good times, being spontaneous and reckless. They like having fun… only that they just do not like having it with all and sundry. They weigh carefully before choosing friends, and differentiate between friends and all-and-sundry. So, while the extrovert is lonely within and needs to go out and tap from others to be happy and enjoy company, the introvert is busy in the mind and enjoys enough company from within. As such, the introvert tries to avoid losing energy to the extrovert when he or she comes, soaring like a beautiful butterfly in a garden, perching from flower to flower for nectar. By so doing, the introvert is withdrawn. Many find it difficult to understand what it means to be “a withdrawn or reserved person.” It means “to turn (the mind, thought, etc.) inwards upon itself; to direct (one’s thinking or effort) to that which is internal or spiritual.” This naturally belongs to the introverts who are not simply shy and reticent, but solid enough to be happy alone, internal, reserved, quiet, attentive, withdrawn and with rich imagination and artistic tendencies. This is why they are artists and writers, creators and inventors. Unlike extroverts, introverts comfortably find solace in their own company, content to sit around in their own thoughts instead of keeping friendships they view as empty. According to study by The Gifted Development Center, 60% “gifted children” are introverts, compared to the 30% of society that’s deemed “gifted.” But introversion is misinterpreted by adults who usually try to correct the “behaviour,” as a personality function they don’t understand. That an introvert, young or old prefers to stay in the room — with his or her thoughts, in his or her own world while others are jumping about making noise — does not mean something is wrong with them. Just because one would rather be alone, does not mean one is problematic. Sometimes it just means he or she does not like you. They are usually very spiritual, introspective and reflective, with a tendency to enjoy their own world where they are comfortable, safe and at peace. Studies show that their strength and weakness lie in their tendency to enjoy solitude over interaction. They feel like strangers, usually boring and uncomfortable in the extroverts’ world. 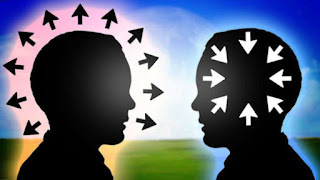 Studies also show that unlike extroverts, introverts are comfortable with their own “subjective appraisal” and do not seek for outside approval or compliments to be sure of themselves. Their personal control over their innermost desires and certainty about their own standards make them to often appear arrogant and pompous to others. Given that introverts naturally are mostly happy alone in their own mind, they are choosy and so, often find it difficult to find compatible friends. They prefer people with like minds, not just anybody. Introverts are just the kind of people who would prefer to be around one good mind, rather 100 that appear as empty ones to them.